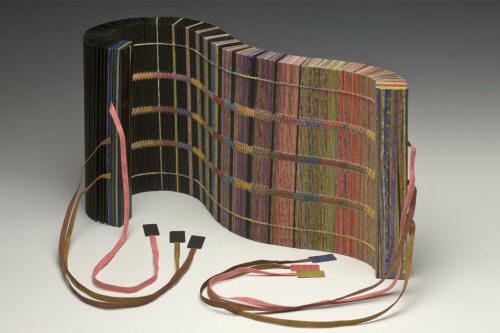 Helen M. Salzberg established the Artist in Residence Program at FAU Libraries’ Jaffe Center for Book Arts in 2011. Since then, seven artists have held semester long residencies: Dorothy Simpson Krause (Spring 2012), Lorna Ruth Galloway (Fall 2012), Paula Marie Gourley (Spring 2013), Tom Virgin (Fall 2013), Julia Arredondo (Spring 2014), Stephanie Wolff (Fall 2015) and Brooke Elizabeth Frank (Spring 2016). They've each worked on creative projects, taught workshops, and mentored FAU students. For Helen and the artists and our students, this is the beauty of inspired people doing great things. This exhibition at the Jaffe Center for Book Arts, third floor east of the Wimberly Library, features the work of our seven Salzberg Residents to date together with recent collages by Helen Salzberg. And in the First Floor Lobby of the Wimberly Library, delve into the works of Dorothy Simpson Krause, our first Salzberg Resident. 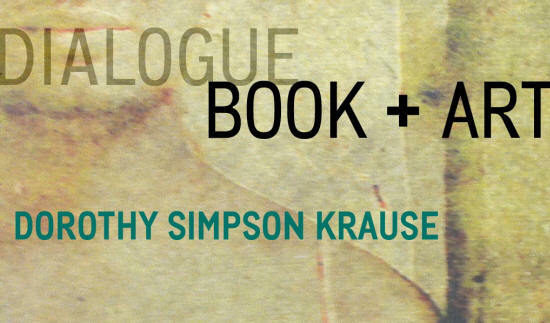 Here, we explore the intricate craftsmanship and meaning of Krause's handcrafted artists’ books. This exhibition features her work collaging digital, found objects and mixed media, informed by many years of world-wide travel and observation. This exhibition comes with great news: We've extended the deadline for applications for the Fall 2016 Helen M. Salzberg Artist's Residency. Applications for the Fall 2016 residency are now due May 10, 2016. Sunday May 1, 2016 from 2 to 4 PM. 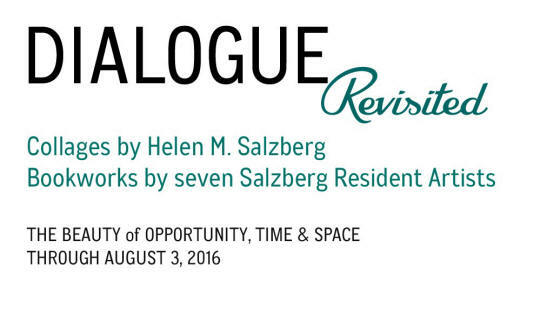 Join us for a casual gathering in honor of Helen M. Salzberg and the resident artists. Join current Salzberg Resident Brooke Elizabeth Frank for an Open AIR Studio in the Salzberg Resident Office and the JCBA Letterpress Studio. The JCBA Lobby portion of this exhibition is accessible in the public areas of the Wimberly Library. Regular library hours are Monday to Thursday 7:40 AM to 2 AM, Friday 7:40 AM to 6 PM, Saturday 10:30 AM to 6 PM, and Sunday noon to 2 AM. The spring semester ends on May 1, so reduced hours are in effect for the final four days of the exhibition. 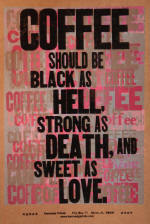 The portion of the exhibition installed inside the Jaffe Center for Book Arts may be viewed Monday to Friday, 10 AM to 4 PM.